What Did McCain Know About Cindy's Drug Abuse? Tom Gosinski, a former employee of Cindy McCain’s, has finally come forward and started talking about Cindy McCain’s drug abuse. Raw Story and Matt Stoller both have lengthy stories up that paint a not-so-pretty picture about the McCain family. Is San Diego's GOP Funding Terrorists? Who's The Guy In The Middle? 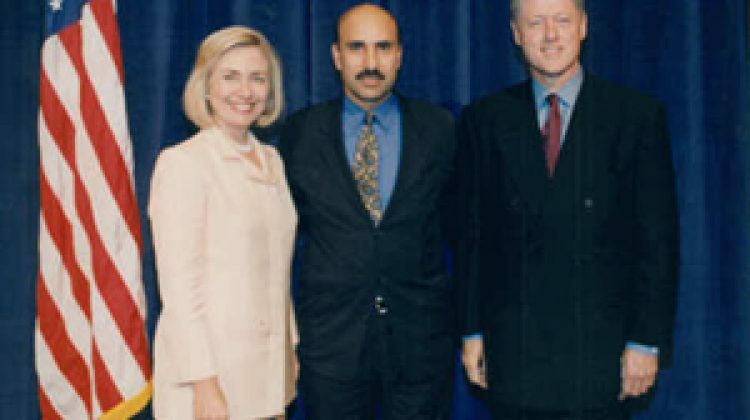 That’s none other than Tony Rezko – the slumlord Hillary attacked Obama over Monday night. Raw Story has video up of Matt Lauer confronting Hillary with that photo. Perhaps Hillary should get all the facts before launching an attack.